Faith Leader, Social Engineer, Entrepreneur, Idea Maker, Communicator Connector, Music Business Executive, Hit Maker and Friend are just some of the words that describe Charles Jenkins. Jenkins has raised millions of dollars to serve the poor and under resourced communities. He is also a multi award winning songwriter, and a 9 time Stellar Award winning recording artist, with 7 #1 Billboard honors. 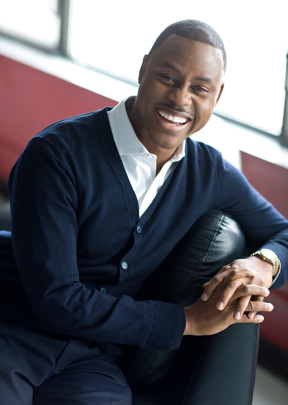 A graduate of Moody Bible Institute and Trinity Evangelical Divinity School, Jenkins is a member of Morehouse College’s Martin Luther King Jr. Board of Preachers and Scholars and was named an Urban Business Game Changer by Black Enterprise Magazine. Charles Jenkins is married to Dr. Tara Rawls-Jenkins and has two daughters, Princess and Paris, and one son, Charles Jenkins III.